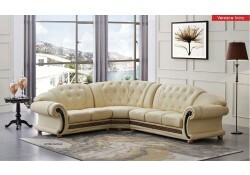 Versace living room sets are manufactured by ESF who specializes in high end furniture products. Made with quality in mind these gorgeous pieces will serve your home for many years to come. Its timeless classic design will turn the room into rich palace. Multiple options are available such as sofa, loveseat, chair, sofa bed, sectional, coffee and end table. Genuine Italian leather upholstery is used insuring durability and style. 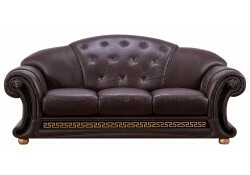 You can truly relax on this comfortable large seating area and enjoy high quality Italian leather. It also comes with removable cushions so it will be easier to vacuum in the future. Rolled arms on sofa, loveseat, chair and sectional include logos and partially tufted design. 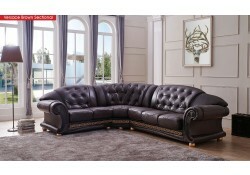 Versace living room sets are also accented by black finish wood trim, button tufted backs and gold finish round legs. You will find more gold and black finish design at the bottom. 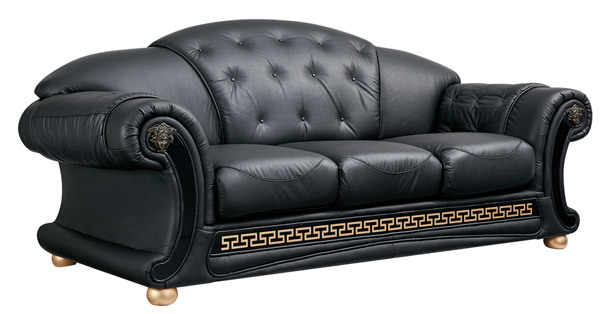 Versace living room set is available in black, brown, ivory and pearl leather colors so pick your favorite. Bring home luxury that you always wanted and make a smart investment that will last. 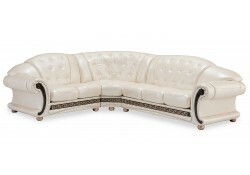 Versace Living Room Set has one of the kind classic design that never goes out of style. It is loved by so many who already has this collection at home and has been enjoying it for years. You can get one of our packages, build your own set or purchase a piece individually. We have the lowest prices for this collection but if you see a lower price elsewhere please let us know. 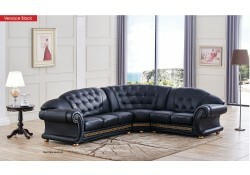 We will match the price or even provide a better deal since Versace living room set is one of our best sellers. Should you have any questions contact us 877 349 8277.